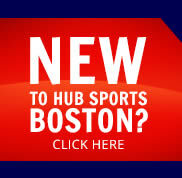 Your HUB Sports Season is Here! You’ve signed up to play ball, now it’s time to get your supplies, t-shirts and everything else you will need for the upcoming season. Join us at your league Captain’s Meeting. We will be reviewing game rules, policies and answering all of your questions about the league and the season. This meeting is required for all Captains. If you are unable to attend you’re required to s end a representative from your team.